Q10. 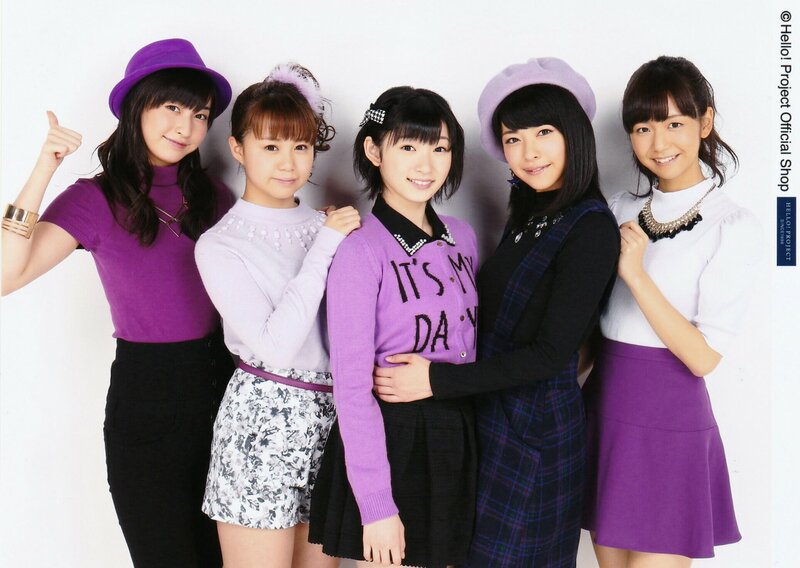 Who's the H!P Kenshuusei who's recently caught your interest? Shimizu Saki: Nomura Minami-chan. She came along with us during Berryz Kobo's autumn tour, and she learned really passionately, watching us perform from the wings of the stage. Tsugunaga Momoko: Everyone! All of them shine. Momochi would like to practise the 'angle of my bow' too!! Tokunaga Chinami: Funaki-chan. She appeared at Berryz Kobo's concerts, and every time I meet her, she's grown bigger!! Kumai Yurina: Fujii-chan. She appears with us on-stage for this tour, but I think it was cute how she'd always be smiling at the side of the stage, watching us perform. Sugaya Risako: It made me really happy when Ogawa Rena-chan told me that she liked me ♥ Ever since she was in the Kenshuusei, Inaba Manaka-chan who's now in Country Girls danced really dynamically with her tiny body, it's attractive! Yajima Maimi: It's Ogawa Rena-chan, though she's caught my interest for quite a while. She has this gentle atmosphere, and when I ask the other Kenshuusei girls 'Who are you close with? ', a lot of those girls would answer 'Ogawa Rena-chan', so I'm sure she's a sweet girl~ Well, that's just what I feel! Nakajima Saki: Country Girls' Inaba Manaka-chan has been good at dancing ever since she was a Kenshuusei. Her smile is brilliant too, it draws my eyes. Ikuta Erina: Hamaura Ayano-chan. Because when the Kenshuusei were asked ' Who would like to have their hair done by Ikuta-san?' for the HaroSute corner where the senpai would do their hair, Hama-chan raised her hand. Sayashi Riho: I'm always interested in finding out what's on Niinuma Kisora's mind. Personally, I think she resembles Ayase Haruka-san, so I'm watching her, wondering if she'll grow up to be even more of a beauty. Suzuki Kanon: Niinuma Kisora-chan comes from Aichi prefecture, the same as me, and it's captivating how her favourite phrase is 'SeishinSeii', with all one's heart and soul. Iikubo Haruna: Nomura Minami-chan. Nomura-chan's expression when performing 'Koi Shitai Shintou' is really pretty, I always watch her during Hello! Cons. I've told her 'I'm a fan'. Ishida Ayumi: Kaga Kaede-chan. When we were doing the play 'Lilium' together, it was fascinating to see the gap between seeing her making serious efforts and her somewhat different personality. I've mentioned this occasionally, but her reactions are unique. Sato Masaki: Nomura Minami-chan. I don't have a reason, but I'm really interested in her. Also, the first time I met her, I felt like I'd met her before. Kudo Haruka: Funaki Musubu-chan and Inaba Manaka-chan, who's joined Country Girls. The 2 of them have told me that they like the ikemen Kudo. Since then, I've become friends with Inaba-chan at the Hello! Cons, and I feel that Funaki resembles me in the past!! Ogata Haruna: Niinuma Kisora-san. Because it made me really happy when she told me that she's a fan. I'd like to meet her soon! I'd like to chat with her! Nonaka Miki: Niinuma Kisora-san. She's cute and has a good figure! We're the same academic age, so I'd like to get closer to her. Wada Ayaka: Nomura Minami-chan! She said she likes me, and it makes me really happy that she sends me a message every time after a concert! Fukuda Kanon: Funaki-chan. Because I've been told that there are similarities between Funakki-chan and me in the past. But Funakki's completely cuter! Nakanishi Kana: Inaba Manaka-chan who has got into Country Girls! I think she's the one I'm closest to in the Kenshuusei. She's a kind and good girl, so I'd like to talk with her more. Tamura Meimi: Taguchi Natsumi-chan and Nomura Minami-chan. Tagucchi's funny and cute! MinaMina suddenly became grown-up, I was surprised at how she'd grown in height!! Aikawa Maho: Yamaki Risa-san who joined Country Girls. She seems grown-up, but she's funny when you talk with her, and I envy her good singing. Sasaki Rikako: Inaba Manaka-chan. Even though she's super cute, her dancing is sharp, and that difference excites me. I think she'll flourish in Country Girls. Takagi Sayuki: Taguchi Natsumi. She's really cute, and she's like a little sister to me. Miyamoto Karin: Hamaura Ayano-chan. I always think that the sight of her doing her utmost best is adorable, and her figure's amazing. Uemura Akari: Yamagishi Riko-chan. I like her calmness in particular, even without saying anything, it feels like we've established a conversation, it calms me down. Yamaki Risa: Niinuma Kisora-chan. Since she's my beloved contemporary. The only person I exchange messages with every day is Kisora. It's always fun when Kisora's around. Yamakisora ♪ Ogawa Rena-san. I really like her face. What a beauty! She's really airy and cute...... I love her. I oshi her. Morito Chisaki: Sasaki Rikako-chan. I saw her as a Kenshuusei, but she really stands out with her good dancing. Ah, she's joined ANGERME. Ozeki Mai: Kishimoto Yumeno-san. When I saw her audition video for Morning Musume。-san, she was really cute, and I think she's her singing's lovely too!! 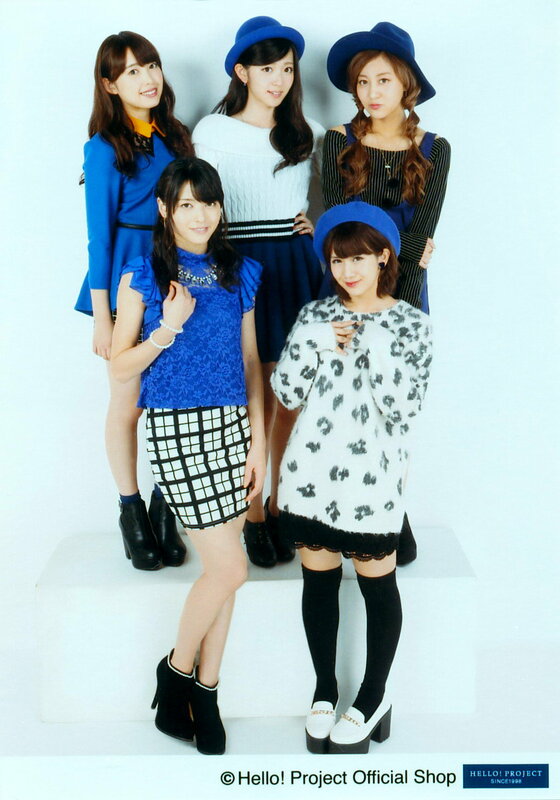 Note that all 6 Kobushi members that weren't from the Nice Girl Project! Kenshuusei were mentioned.